A saxophone reed is the most important part of the instrument. Maintaining a reed allows the music to flow smoother and hit the correct notes. Clean and properly store your reed every day for the maximum performance. Never leave your saxophone reed in the instrument while you are not using it. The process to clean the saxophone reed takes approximately one hour. After cleaning a reed, store it appropriately in the reed container. Add two caps of vinegar to a cup, then add four caps of warm water. Stir the mixture with a spoon. Place the reed inside the cup. Mix again. Let the reed soak for about 30 minutes. Take the reed out. Pour the vinegar mixture down the drain. Place the reed back in the cup and run warm water over it for about 5 minutes, stirring occasionally. This will get rid of any left over vinegar on the saxophone reed. Remove the saxophone reed from the cup. Place on a dry paper towel in a clean spot. In approximately 15 minutes, replace the paper towel with a dry one. Turn the reed over. Let dry for an additional 15 minutes. Place the saxophone reed in the reed storage container. 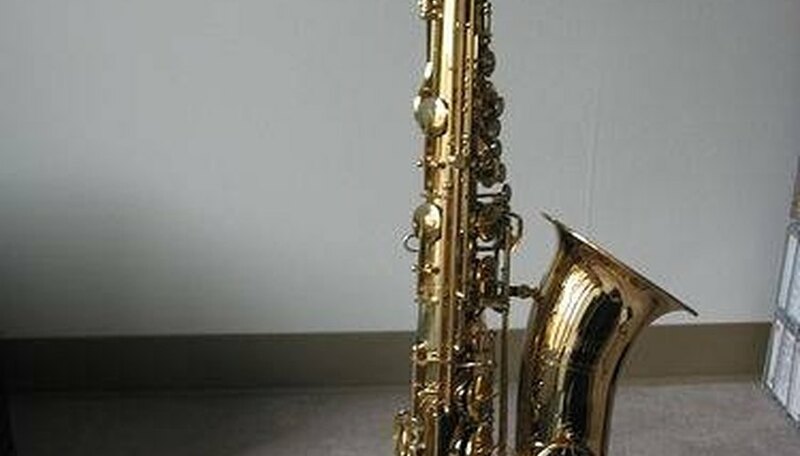 Put the container in your saxophone case with the instrument. Clean the reed every day only if you use it. Always clean it once a week even if you do not play the saxophone often. Keep the reed in the storage container. Replace the saxophone reed if it becomes mildew, cracked or chipped.